We're happy to offer our DC readers the chance to attend a free screening of Chuck, the new boxing drama starring Liev Schreiber as Chuck Wepner, considered by many to be the real-life inspiration for Rocky Balboa. The screening takes place on Monday, May 8th at 7:30pm at Landmark E Street. For a chance to attend, simply complete the Rafflecopter contest form below. Winners will be selected on Saturday, May 6th, and contacted by email. Good luck! 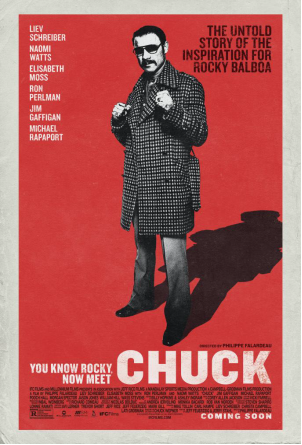 Chuck opens in DC on May 12th.